Identify and neutralize security threats while maintaining the flexibility necessary for today’s business applications. Next Generation Technology is a highly-touted capability. This is often overused term to gain attention and potential market share. As a true technology resource provide we select our partners wisely and in doing so put forth a rigorous effort in vetting out the companies that can genuinely backup their solution and can demonstrate how they define themselves as a Next Generation Technology. With regards to Firewall security for this reason we have selected Palo Alto Networks as our exclusive Next Generation Firewall provider. These threats require the Next-Generation Security Platform to provide customers with a way to safely enable the applications their users need by allowing access while preventing exposures. PANW Next-Generation Firewall is the core of the Next-Generation Security Platform, designed from the ground up to address the most sophisticated threats. App-ID classifies applications across all ports. Application Command Center (ACC) interactive graphical use summary across applications, users, URLs, threats and content. AutoFocus™ contextual threat intelligence service accelerates analysis, correlation and prevention workflows. Unique, targeted attacks are automatically prioritized with full context, allowing security teams to respond to critical attacks faster, without additional IT security resources. Threat Prevention IPS blocks vulnerability exploits and advanced persistent threats (APTs). Enforce acceptable use policy based application control provided by App-ID. WildFire – Analyze file behavior helps you to understand how newly discovered malware operates and investigate potential infections and breaches. Traps™ advanced endpoint protection product that replaces AV with “multi-method prevention”: a proprietary combination of malware and exploit prevention methods that pre-emptively block both known and unknown threats. Logging® Service is a cloud-based offering for context-rich enhanced network logs generated by our security offerings, including those of our Next-Generation Firewalls and GlobalProtect™ cloud service. The cloud-based nature of the Logging Service allows customers to collect ever expanding rates of data, without needing to plan for local compute and storage. In today’s world, Cyber threats are more sophisticated and real than at any other time in history. For Information Technology professionals, it is overwhelming; your network is more complex than ever before. Employees are accessing any application they want, exposing web threats every time they browse. Oftentimes, these applications and browsing habits span both personal and work-related usage. The business and security risks are often ignored. These fundamental shifts in application usage, user behavior, and the complexity of network infrastructure create an attack surface that exposes weaknesses in traditional network security. CenterLink Technologies understands these modern-day challenges. We strive to help clients by providing insight and identification for these potential threats. We focus on protecting your network from this new, more sophisticated class of advanced threats that evade traditional security mechanisms by starting with our Security 360° Assessment offer. Implementing technology securely requires special attention to detail and security testing. CenterLink Technologies Security Engineers are here to help you implement new technologies securely and remediate gaps in a prudent, cost-effective manner. Visitors and strange devices should not be allowed to connect to your corporate network. Wired, wireless, and remote access should require authentication of the person and / or devices identity. Access should be limited to the users role, authorization scope, and security posture of the device. 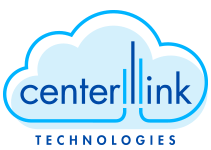 CenterLink Technologies Security Engineers are here to help you achieve your security goals by untangling the complexity of multi-vendor implementations. Penetration testing validates which vulnerabilities may actually be exploited, and shines a light on many vulnerabilities that likely weren’t on your radar. Through penetration testing CenterLink is able to demonstrate the level of sophistication necessary to exploit vulnerabilities, and the sensitive data and information systems accessible via pivot. Findings are organized in a formal report and presentation to help your team prioritize and take action to address critical security gaps. Software vulnerabilities and system misconfigurations are the “doors” malicious actors are using to get in your network. CenterLink Technologies provides on-going vulnerability detection, prioritization, triage and support for managing your vulnerable assets. It is not uncommon for a company to go more than one year before noticing that they have been breached. Threat hunting is a proactive approach to detect indicators of compromise, analogous behavior, and unauthorized activity. Don’t just wait for your conventional network defenses to detect an attack, deploy offensive countermeasures, honeypots, and other defenses to actively disrupt would-be attackers. Is your organization looking to start a security program or undergoing organizational change? CenterLink Technologies certified information security managers will establish a strategic plan, perform a gap analysis, and move you forward to accomplish your security goals. Do you know: which passwords in your organization are most likely to be breached? Which users and systems have legacy passwords that don’t meet your policy? If your password configuration enforcing your corporate policy? CenterLink Technologies Password Challenge is not just another audit. Our security engineers extract the actual password hashes from your users and systems and perform offline password attacks to simulate a real password breach. Our analysis helps you find weak spots that may not have been on your radar and provides materials to socialize security within your company. Analysis graphics showing which departments or locations have the weakest passwords, to provide social motivation to improve, without singling any individuals out.